It is with a sadness and sense of loss which cannot be expressed in words that I announce the passing of Betty Jane (BJ) Williams. Betty passed away at 5:15am (Pacific) this morning from complications related to the massive stroke she suffered on November 12th. As many of you know, Betty was my Aunt and the inspiration for my career in the Air Force. She was a friend, a confidant, a "sister", a peer and a patriot. But most of all, she was family to us all. Her contributions to the WASPS, the community, civic organizations, educational institutions, the U.S. Military and to her Nation will be remembered and sorely missed. Please join with me, my wife Cheryl and my family in saying a prayer for Aunt Betty and wishing her Godspeed as she flies her P-40 over St. Peter's gates. I wish to thank many of you who have expressed your sympathies and prayers for Aunt Betty since she was stricken ill. They were deeply appreciated and you have our heartfelt thanks. If I have inadvertantly left anyone off this e-mail, I sincerly apologize. Trying to keep up with all the e-mails has been a chore. If I have missed someone, please pass this message along. Thank you so very much. Information regarding arrangements will be forthcoming as soon as possible. A MEMORIAL SERVICE for B.J. WILLIAMS will be held on JANUARY 24, 2009, 2pm, at the Garden Chapel in Canoga Park, CA. Since no one could ever tell her story better, here is Betty's entry, "in her own words'', from pages 432 and 433 of Betty Turner's "Out of the Blue and Into History." Born and raised in Kingston, Pennsylvania with an older brother and younger sister, I had two loving parents who supported my adventurous activities. As an honor student, avidly pursing an art career, but anxious to learn to fly, I competed with 50 males in the non-college Civilian Pilot Training Program, win a flight scholarship and my pilot's license in June 1941. The attack on Pearl Harbor prompted the government to stop all general aviation flying on both coasts. So to stay in aviation, I applied to Colonial Airlines as a stewardess. (They were the only airline that did not require you to be a registered nurse at that time.) I was hired, trained and began flying in DC-3's between Montreal, Canada and new York. When the Air Transport Command approached the airlines to establish instrument flight training schools, I was selected to attend Northeast Airlines Pilot Training at the University of Vermont and became a licensed Link trainer instructor, under contract with Wartime Training Service, teaching Navy pilots, airline and commercial pilots instrument flight techniques. A year later when my contract renewal come up, I opted to enter WASP training at Sweetwater, Texas. Upon graduation, I was assigned as an engineering test pilot, flying single and multi-engine training planes (AT-6, AT-7, AT-10, 10-11, UC-78) as well as the P-40 at Randolph Field, San antonio, Texas. After WASP deactivation, I became a commercial pilot, flight instructor and head of instrument ground school for North American Airport Corporation, Westchester County Airport, White Plains, New York, and other airports in the area, 1945-48. During this period, I created, emceed and produced the first aviation network TV show over CBS and NBC, New York. Subsequently, I moved to California and worked four years for North American Aviation, (now Rockwell-Boeing), as a technical writer, producing the Flight Operations Manual on the B-45, 4-engine jet bomber and Maintenance Manuals on various military aircraft. Wrote and directed a series of films on the F-89 jet fighter, used during the Korean War. I received a direct commission in Air Force Reserves 1949, and in 1952, during the Korean War, I was called to active duty as a TV writer-producer with the USAF first TV Squadron, pioneering the use of TV for military purposes. I was also the unit's Public Information Officer. Served 28 years in Air Force Reserves with Sec'y of Air Force, Office of Public Affairs on the West Coast and two years with the Marines in the same speciality. Worked with press, radio, TV and motion picture studios, retiring in 1979 as Lt. Colonel. My final assignment was to produce a TV film re: women now (1977-78) being trained as Air Force Pilots. This gave me an opportunity to inform the public that the WASP were the "first" women military pilots! For 20 years, I was a motion picture-TV writer, director, producer for Lockheed Sales Promotion Department; subjects covered missiles, F-104, P-3 Orion, L-1011, propjet Electra, many research programs, weapon systems and other tactical aircraft. Films were distributed worldwide in several languages. I produced over 100 films, winning 12 national film awards. Professional affiliations: one of founding members (1957) Information Film Producers of America. I held several national offices including National President; Los Angeles Advertising Women-President (1965-66); WASP WWII, National President 1948-1949, Editor WASP News 1947, Public Relations Director, 1973-80, Western Regional Director 1988-90; and President, Southern California WASP 1998-99. 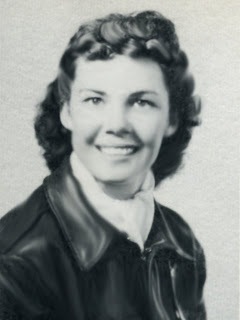 Named: "Women of Achievement" by Business and Professional Women 1966; nominated "Outstanding Mobilization Augmentee in Air Force Reserves," 1974 by the Secretary of the Air Force, Office of Information, Los Angeles, featured in 1976 edition The world's Who's Who of Women, Cambridge, England. Selected as "Pioneer Woman of the Year" 1993 by Los Angeles City Council. Inducted into "CINDY Hall of Fame" 1996, one of two people so honored by International Film/TV Producers Association. Inducted into "International Forest of Friendship," June 1996 for exceptional contributions to aviation. There is more. Since writing these words in 1996, B.J. continued to charge head-first into life-- serving the WASP organization as Region I Director with many, many other projects on her list. Her last public event was on Veterans Day, 2008. She was the featured speaker at a ceremony/celebration of WASP Gertrude Tompkins Silver, one of 38 WASP who died serving her country. From the first time I met her, I considered BJ Williams "a force of nature," because she was curious--about everything, and she challenged everything. She wanted to know what was happening, who was in charge, why it was taking so long and what could be done about it. I was fortunate, because I always managed to come up with an answer that pleased her, which was not an easy thing to do. However, I believe that, because my answers were always from the heart, she could read that. Being around BJ made me feel like I needed to double-check the spelling on everything. She appreciated those who had done their homework. She could also spot BS from a great distance, as exemplified by the story of the 'Hollywood wanna be interviewer' who had called me to volunteer to record WASP Interviews--using his students and the studio at a local college in LA. I was skeptical, but called BJ to do the 'test interview.' She agreed. She sent me a copy of the video of her interview. I was completely 'under-whelmed', as she was, when I saw the result--many close ups on HIS face, HIS beautiful tan and HIS perfectly bleached teeth. No students to be seen--they were all behind the cameras recording their TEACHER--with a few 'shots' of the WASP. It became all about HIM--how he phrased his questions and how he looked so sincerely into the camera--and not a whole lot about the WASP. However, BJ politely turned his questions around--and challenged him. What resulted was a whole lot of pauses--while he thumbed thru his index cards. I think she actually had a good time. My last phone conversation with BJ was the week before her stroke. She called to ask about the Fly Girls exhibit--did we get a response from Fed Ex about the shipping--and how was it going? She always asked about our project and our plans, and she always answered my postings with a 'thank you' email, which I truly appreciated. Inez (Woodward) Woods; class of 43-W4 passed away on November 4, 2008. She had just had her 91st Birthday on October 12th. Inez had been in a nursing home for several years before she passed away and was alert and communicative until about five months ago. Inez was in my Bay at Sweetwater and was stationed at Romulus in the Third Ferry Group, Ferry Command and flew most of the aircraft that the Air Force had excepting for the Pursuit and Heavy Bombers. After we were disbanded she flew twin engined aircraft as an Executive Pilot. After marrying Jack Woods; Inez became a college professor and after retiring; she became a Real Estate Broker and enjoyed the Real Estate Boom in California. Inez and Jack had one daughter named "Barbara" and two Grandchildren; a girl and a boy. Barbara is married to Sam Ragucci and lives at 742 Brown Sage Drive, Glendora, Carlifornia, 91741. Inez's ashes have been scattered in the Pacific Ocean; as was Jack's when He died several years ago. Martha Emily Metz Gile took her last flight on November 18, 2008. Born to Fred Christian Metz and Martha Julia Fritz Metz on March 4, 1925. She was an aviator and native of Miami, FL. 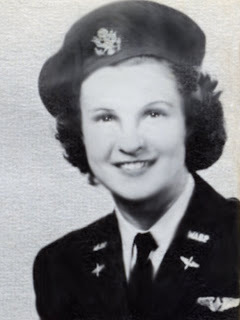 Emily served with the Women Airforce Service Pilots (WASP) of World War II, class of 44-W-8. Emily Gile' s childhood and adolescence in Miami, Florida and her family' s business in cows, chickens and turkeys during the Great Depression when her father was unable to find work in accounting. 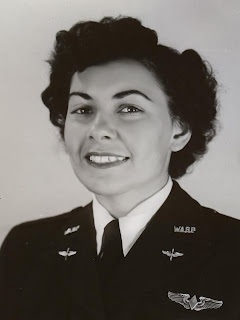 Determined to become a WASP, Gile was initially turned away because of her age, but earned her private license while working at the Army Air Corp base . On the day she turned eighteen and a half, she hopped a military flight bound to Washington DC and was escorted to be interviewed at the Pentagon with Jacqueline Cochran who admitted her into the program. Gile completed her training at Avenger Field in Sweetwater, TX graduating Oct. 18th, 1944. She was then was stationed at Greenwood, Mississippi and ferried planes to different bases and tested repaired planes before they entered back into service. The WASP were deactivated in December of 1944. Emily Metz Gile then married and served in the Air Force Reserves until she became pregnant with her son. She then attended Concordia River Forest College to become a teacher for elementary children in parochial schools. Then Gile received her Masters in reading education at Appalachian State University. Gile then moved Hillsville, VA to be a reading specialist for Carroll County Schools. After her retirement from teaching she volunteered in so many ways. She was involved with many organizations including the American Association for Retired Persons serving as chairman for the retired teachers for years. Emily Gile was also a member of the General Federation of Women' s Clubs, Carroll County Retired Teachers, American Legion and the American Cancer Society serving as relay Captain for many years. She also believed that the children of Carroll Co. needed the opportunity to experience flight so she began the Young Eagles' Program Local EAA chapter. Emily Gile leaves her two children: one son, Emory Bearden of Hillsville, VA; one daughter and son-in-law, Larry and Martha Musser and her three grandchildren, Elizabeth, Caroline, and Sarah Musser of Winston-Salem, NC. Funeral Services will be held on Saturday, November 22, 2008 at Vaughan-Guynn-McGrady Chapel at 2 p.m. with Dr. Marva Dawn officiating. Military Rites will be conducted by the Hillsville V.F.W. Post 1115. The family will receive friends at the funeral home on Friday, November 21, 2008 from 6 until 8 p.m. Burial will be in Quantico National Cemetery on Friday, November 28, 2008 at 2 p.m. Donations maybe made to W.A.S.P. Women Endowment Fund T.W.U. P.O. Box 425528 Denton, TX 76204, or the local EAA Chapter Young Eagles Program, c/o Shirley Steele, 681 Mt. Zion Road, Woodlawn, VA 24381. A guestbook is available online by visiting http://www.vaughanguynnandmcgrady. com. Vaughan-Guynn-McGrady Chapel is serving the family. ELVIRA GIIGGS CARDIN, LAFAYETTE, CALIFORNIA. "I was born on August 26, 1913, in Tacoma, Washington. After attending high school at Rosemary Hall in Greenwich, Connecticut, I attended Pomona College in California and graduated from the University of Washington in 1935, majoring in French. After graduation, I went to New York City and worked for Mademoiselle magazine. In 1937, I traveled to Berlin, Germany then to France. I started to fly and get into the WASP. At that time no civilians could fly near the Coast. I moved to eastern Washington and flew to get 100 hours and went into the WASP--class 43-8. After graduation, I was stationed at Dodge City Army Air Base, Dodge City, Kansas, at a B-26 school. I towed targets in the B-26, then to Hondo Army Air Base in Hondo, Texas, and to Pueblo Army Air Base, Pueblo, Colorado. I flew other planes like the AT-17, AT-6. In 1947, I married a man I had known all my life, Pat Cardin, and we moved to Lafayette, California. We had two sons, Kim and Christopher. We have lived in the sam house for 53 years. One of our sons lives in Layafette with our only granddaughter, jessica, age 13, who plays soccer, basketball, rides horseback and is a straight "A" student. She also is in 4H and takes care of six rabbits. I am on the board of the Oakland Museum and on the board of Lindsey Wildlife Museum in Walnut Creek, California. I still play tennis, enjoy bridge, and attend the San Francisco Symphony, but most of all; I am interested in my garden. "from p. 256 "Out of the Blue and Into History" by WASP Betty Stagg Turner. “I was born on November 15, 1919 in Ishpeming, Michigan. When I was four years old, we moved to a small village out side of Detroit. I learned to drive a car, the famous Model “T” when I was ten years old. When I was fourteen or fifteen, a friend purchased tickets for a plane ride, 15 minutes for $5; it was a four seater. I decided I wanted to learn to fly. I heard about the Ferry Command and decided that was what I would aim for. Hance Air Field, a cow pasture, pure mud when it rained, and frozen ruts in the wintertime, was where I learned to fly. We trained in Piper Cubs and Luscombes. I applied for admission to the WASP, and was rejected because I did not meet the height requirement of 5’ ½”. I requested another appointment to pass the physical, stating that exercise and stretching would help me meet the height requirement. The request was granted. For the next several months I hung from pipes my father installed in the basement and went to a chiropractor recommended by some pilots I knew. Strapping me to a table, he turned on a motor that separated the table in the middle and also me. One treatment and several months later I passed the physical. I entered the class of 44-5 and upon graduation I was assigned to Headquarters Army Air Forces Pilots School (basic), Courtland Army Air Field, Courtland, Alabama. My duties were engineering testing, ferrying, administrative, then to Headquarters Army Air Force Providing Ground Command, Eglin Field, Florida. My duties were the same as Courtland. I attended Officer’s Training School in Orlando. I checked out in the following planes: PT-17 and 19, BT-13 and 15, AT-6, UC-61, UC-64, P-47, P-39, A-20, B-25, C-47 and L-3. After deactivation, I joined the Red Cross, March 1945. I learned to drive every kind of truck available, including the 2 ½ ton truck in the Red Cross Clubmobile. I was assigned duty in England and Germany. I met my husband, James Hayes, in Germany. He was the commander of the 10th Constabulary Squadron that my club served. We were married in Kitzingen, Germany twice. The legal ceremony was performed by the Burgermeister (Mayor) of the town. A minister according to our religious beliefs performed the second ceremony. My wedding dress and shoes were made out of a parachute that someone had given me. Since my husband was a career officer in the Army, we were constantly on the move from city to city and country to country. We had four children, three boys and one girl. Our oldest son, James, Jr., is a West Point graduate, our second son, Edward, is a pilot for American Airlines and our third son, Keith, did spend three years in the Army in the Military Police and is now the news director and broadcaster for a radio station. Our daughter, Heather, was a Captain in the Army and is now going back to school to get a teaching degree. We also have a grandson, James H. Hayes III, who is a cadet at the Air Force Academy. I considered renewing my license, but changed my mind after spending several hours dodging traffic in and around Los Angeles. My husband decided to become a pilot, with instructions from our son, and received his private license at the age of 68; the traffic didn’t bother him. His FAA check pilot was WASP Gene Fitzpatrick. Lois Hayes passed away quietly September 24, 2008, at her home in Westlake Village, California. She was 88-years-old and with her family when God called her to Him. Earlene was married for 62 years to her husband Jim, who died in March. Former British Prime Minister Benjamin Disraeli may have had Earlene in mind when he said, "You can tell the strength of a nation by the women behind its men." She lived an amazing life. Born Earlene Lois Flory in Ishpeming, Michigan, on November 15, 1919, she was one of five children of George and Ella Flory. 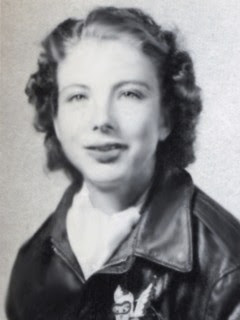 She joined the Women Airforce Service Pilots in 1943, and trained at Avenger Field in Sweetwater, Texas, to take over the military and civilian test and ferry pilot jobs usually held by men so they could go to the front in World War II. She was decorated with the American Campaign Medal, World War II Victory Medal and the National Defense Service Medal. 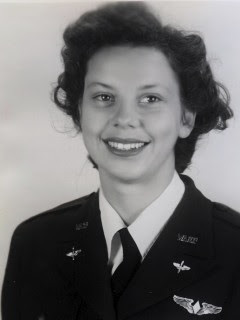 In 1977 Earlene and the 1,024 other WASP were given official military veteran status and commissioned as 2nd Lieutenants in the Air Force reserve (Very Inactive). Earlene met Army Lt. Col. James H. Hayes in Aschaffenburg, Germany in 1944 when she was working for the American Red Cross. The two were married in 1947. One of the proudest days of Earlene's life was when she pinned the pilot's wings on her grandson, U.S. Air Force Captain James Hayes III. Colin, James' brother, currently a sergeant in the Marine Corps, is a much-decorated veteran of the Global War Against Terrorism and was also a source of great pride for his grandmother, Earlene. She is survived by her children, Jimmy, Allen, Keith and Heather; her daughters-in-law, Terry and Katie; and her grandsons, James and Colin; all of whom miss her very, very much. Services: October 13, 2008, noon, at St. Maximilian Kobe Catholic Church,5801 Kanan Rd., Westlake Village, CA 92361. Another wonderful WASP is gone…but her legacy is grand…her life an inspiration—she left this world a far better place for her time in it…and it was an honor to have known her. Kitty filled up this world with love—unconditional love. One of her son Jim's great memories of his mom is when he flew Kitty and his son to Sweetwater and watched her put her handprints in cement. We regret having to tell you that "Kitty" Edna Hines Bishop died Sunday morning at her home in Hattiesburg, MS.
She had suffered from Parkinson disease for a number of years and would have good days and poor days. But through it all, she remained cheerful and a fighter. She is survived by her husband, Jim Bishop, four children, two sons, Drs. Jim and John Bishop, the former of Collins MS and the latter of Guntersville AL, two daughters Lynn Bishop of Atlanta GA and Gail Bishop of Ocean Springs MS. In addition she had six grandchildren and two great grandchildren. She had learned the Friday before her transition that another grandchild was expecting and tests confirmed the expected to be a girl. Kitty rejoiced at the news. Kitty was proud of her family and proud, too, of her affiliation in the W.A.S.P. 's keeping abreast of its activities and attending many of the reunions at both Sweetwater and elsewhere. One of the most enjoyable reunions was the one in Sweetwater she attended with her son, Jim, and his son, John, when they flew a Cessna 182 from Hattiesburg to Sweetwater. She was born in Rockey OK on Leap Year's day, 1916 and attended public school there. Her maternal grandfather was a participant in the original Oklahoma land rush. Her immediate family moved to California first to Bakersville and then to Livermore. It was there she started her flying career, ultimately buying a small Aeronicia and flying out of Bishop California to build time. She entered the W.A.S.P program and graduated in the class of 43-4. 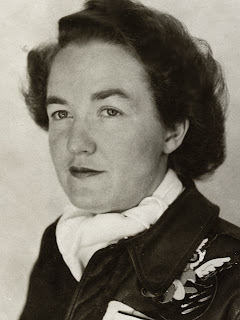 General Hap Arnold pinning on her wings, 1943. She faithfully kept in touch with many of her fellow members. She was assigned ferry duty and logged time in BT's, AT-6's, UC78's, C45's, B-17's, P-47's. and A-25's. Her last assignment was in a tow-target squadron stationed at Liberty Field flying duty for Camp Stewart GA, now Fort Stewart. While at Liberty Field, she met her later-to-become husband who was also stationed there and a fellow pilot. After the W.A.S.P. deactivation, they were married in a small pre-Civil War Presbyterian Church. Part of their 50th wedding anniversary was revisiting that area and that church. Although she didn't make an issue of the deactivation, she did feel it was an injustice and through the years sought some sort of recourse. She was signally happy when W.A.S.P. 's were awarded militarization and appreciative of Mississippi's U.S. Congressman "Sonny" Montgomery's active participation in the process. This wasn't her sole passion, however. She finished her college degree at the University of Southern Mississippi and entered their graduate program earning her teaching specialist degree and then entering the PhD program at the University of Alabama. She taught several years in the U.S Teacher Corp, later joining the faculty of Prentiss Junior College. She worked both publically and privately in testing students, publically in Hattiesburg, Ms., New Orleans and Bogalusa LA. She formed a newcomer service in Laurel MS and later was employed with the Mississippi Employment Service. She was active in civic affairs including serving as a Girl Scout Leader in both Laurel and Hattiesburg. She was a devoted member of First Baptist Churches of Laurel and Hattiesburg and later, University Baptist Church of Hattiesburg. She worked in various area of these churches and served in a number of church committees. A memorial service will be held at University Baptist Church, Hattiesburg, Dr. Phillip Reynolds, pastor. The Rev. Farrell Blankenship assists in the service. Burial is in Roseland Park Cemetery, Hattiesburg. I wanted to share this sad news with you all and am posting this information online which will include a place to write messages to the family or share a special memory of this unique, inspirational and gentle spirit named Marie. Her life touched so many in so many different ways. To me, her maiden name best describes the size of her heart and her compassion, her courage in the face of many challenges, her love for her family, and her faith: big as a Mountain. She spoke softly, yet left lasting footprints on this earth—too big to ever be filled. She is a shining example of why I will continue to share your stories. It is with deep sadness that I inform you that Marie passed away this morning at 9 am, Thursday, October 2, 2008, surrounded by her family. She has been in fragile health for many years and suffered a bad fall at home last April after which she became progressively weaker. She was 93 in February. Marie's faith, character and values, her love of God, family and everyone who knew her, were the defining features of our family life. She brought great spiritual strength and purpose into all we did and into the lives of our children and grandchildren. As you know Marie was also a woman of outstanding intelligence, talent and accomplishments in music where she achieved national recognition in flute teaching and performance. During World War II she was one of the first women to serve as a pilot for the US Air Force as a member of the Women's Air Force Service Pilots (WASP) and a pioneer leading the way for women to fly today for all the military services. Although we shall miss her greatly we do rejoice that she is now with God and surrounded with perfect peace and love for eternity. We await our reunion with her in God's own time. Her Obituary as published in the Ann Arbor News is below. Marie Mountain Clark, 93, was called to her eternal home by God on Thursday, October 2, 2008, surrounded in her earthly home by the love of her family. Marie was born on February 8, 1915, in a small farm house at West Liberty, Iowa. She spent her childhood in West Des Moines, Iowa, where her father established the Iowanola Dairy for the breeding of pure bred Guernsey cattle and the production and marketing of high butter fat Guernsey milk and other dairy products. She is a retired flute teacher and performer having served as Principal Flute in the Drake University-Des Moines Symphony Orchestra, the Ann Arbor Symphony and orchestras in the Boston, Massachusetts, area. She has performed professionally as a soloist and with Chamber Groups and has taught private students in Ann Arbor and Boston. In the 1945-46 she served as the Instructor of Flute in the University of Michigan School of Music and in the summer of 1946 was a student at the Tanglewood Music Festival. Marie is a graduate in Music from Drake University and completed Graduate Studies in Music at the University of Michigan. She is a former flute student of Georges Barrere and George Laurent. During her high school days she was both a National Champion and Iowa State champion in flute performance. Marie is a 70-year, Life Member of the Mu Phi Epsilon International Professional Music Fraternity and has been affiliated with the Ann Arbor Alumni Chapter since 1957. 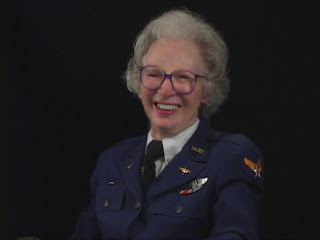 During the Second World War Marie completed U.S. Air Force pilot training with the Women’s Air Force Service Pilots (WASP). 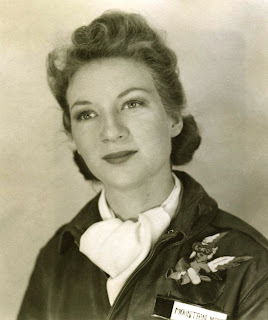 Following graduation in February 1944 she was assigned as a pilot with the U.S. Air Force, accumulating about 1000 hours in military aircraft, including the PT-19, BT-13, AT-11 and AT-6 training aircraft, the P-39 and P-63 fighter aircraft and as a copilot in the B-17 and B-26 bombers. Her military service was at the Las Vegas (Nevada) Air Force Base where her duties included giving instrument flying instruction to male pilots, flying mock fighter attacks on the B-17 “Flying Fortress” and serving as an engineering test pilot for P-39 and P-63 fighter aircraft. She is a member of the Caterpillar Club, an organization of those military pilots who have made an emergency parachute jump from an aircraft. The WASP were the first women to serve as pilots for the US Air Force and were the pioneers that led the way for women to fly today in all the military services. In 2005 Marie published her World War II memoirs in the autobiography: Dear Mother and Daddy: World War II Letters Home from a WASP. On July 8, 1945, Marie was married in West Des Moines to John Alden Clark, who survives. She was pre-deceased by her parents, Charles and Ethel Mountain, her three sons, Alan(1946), Merrill(1946) and Peter(1988) and is survived by her children, David (Souise) of Eden Prairie, MN, Eloise-Marie (Philip) McKenzie, MD, of Thief River Falls, MN, grandaughter Susan Marie Clark of Blaine, MN, grandson Charles John (Jean) Clark of Redmond, WA, great grandson, Curtis Hajek of Blaine, MN, and great grandaughter-to-be Claudia Marie Clark of Redmond, WA. She is also survived by her sister, Eloise Mountain Wright of Iowa City, IA, her niece Susan (Ray) Cutler of East Moline, IL, her nephew Charles (Graciela) Wright of Houston, TX, and her grand niece Rebecca Cutler of Rockford, IL. The family wishes to express their gratitude to Dr. Alan Dengiz and his staff at Senior Health Services, St. Joseph Mercy Hospital, for the excellent medical care given to Marie for many years, to the nurses and staff at St. Joseph Mercy Hospital, Hospice Home Care, who kept Marie comfortable during her final week, to Victoria Sarah, RN, who cared for Marie for several years, to Mary Lindquist, RN, for her caring and advice to the family and to Sue Larde, owner of Homelike Care, Inc. and her staff, who managed the family meals during the past three years. Memorial services will be held at 12 noon, Tuesday, October 7, 2008 at the Ann Arbor Christian Reformed Church, 1717 Broadway, Ann Arbor 48105, with Pastors John Groen and Harvey Stob officiating with a reception to follow at the church. Interment will be on Wednesday, October 8, 2008, in the family plot at Resthaven Cemetery, West Des Moines, Iowa, next to the family home and in ground that once was part of the family farm. In lieu of flowers contributions may be made to the Ann Arbor Christian School, 5500 Whitmore Lake Road, Ann Arbor, MI 48105. Local Funeral arrangements have been made by the Muehlig Funeral Chapel, 403 South Fourth Avenue, Ann Arbor, MI 48104 with interment arranged by the McLarens Chapel, West Des Moines, Iowa. I have been privileged to enjoy an abundant life for which I am deeply grateful. My parents were loving, considerate, and faithful Christians who taught me early to know and love God. They provided me with a caring and secure home, the best education available, and taught me to be patient. I was fortunate to marry a man who shares these values and my views of God and eternity. We have been blessed with children, grandchildren, and a great-grandson in whom we have tried to instill the essence of the Christian faith. 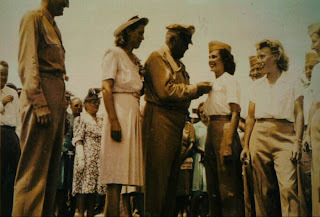 My wartime service as a WASP was my one great opportunity to serve the country I love. It gave me the chance for extended personal development and to have unbelievable flying experience. I can only describe it as an “opportunity of a lifetime.” I am grateful for this, too. John and I have traveled extensively and visited many ancient places of great renown but the most satisfying experience of all was to return home to our family and loved ones. These are the most important things in life: family, home, and friends, and to love God and one another.